The Economic and Social Commission for Western Asia (ESCWA), recently released a new report, Strengthening Social Protection for Persons with Disabilities in Arab Countries. According to the most recent data collected by ESCWA, the disability prevalence rate in the Arab region is around 2.9 percent. 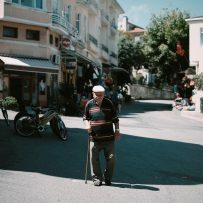 This number is expected to steadily rise due to the ageing of the regional population and the fact that older persons are more likely to experience disability, as well as several recent and ongoing armed conflicts in the region. As with other regions, persons with disabilities (PWDs) in Arab countries are disproportionately poor and vulnerable. It is therefore critical that they have access to adequate social protection, which as ESCWA’s report shows is too frequently not the case. The employment rate among persons – and especially women – with disabilities in the Arab region is very low, typically resulting in their exclusion from contributory social and health insurance (which is contingent on formal employment). In addition, the data indicate that even when PWDs work, they are more likely than others to do so informally. Non-contributory forms of social protection – including social assistance and non-contributory health insurance –are increasingly distributed in Arab countries through poverty targeting, often by proxy means testing. While this has the potential to ensure that resources are more effectively channelled to the poor and vulnerable, the specific costs faced by PWDs, for example, special means of transport, are frequently overlooked by the targeting formulas. Thus, their real poverty level risks are underestimated, resulting in their exclusion from non-contributory social protection programmes. The extent to which this has been taken into account appears to vary between countries. Furthermore, within both contributory and non-contributory social protection schemes in the region, benefits specifically related to disability are commonly contingent upon inability to work. This could reinforce the notion that having a disability is incompatible with participating in the labour market, so PWDs may have to choose between receiving the support they need and employment. At the same time, even when social protection is available to PWDs, it is often inadequate. Cash benefits are usually too low to compensate for disability-related costs. Additionally, the quality of health care is generally low in the region, and the particular forms of care needed by persons with disabilities are not provided. The report stresses that social protection for PWDs must be an integrated part of sustainable development, which is based on the principle of leaving no one behind. The 2030 Agenda and the Sustainable Development Goals (SDGs) and Targets are all interdependent, meaning that advancing PWDs’ enjoyment of the right to social protection is contingent on achieving other Goals. For example, in practice, they may be able to reach health care facilities only if public infrastructure and transport are made accessible. The report also highlights the ways in which harnessing the abilities and ensuring the participation of PWDs can benefit all, and is crucial to the realization of the 2030 Agenda and the SDGs. Down the report on ESCWA’s website. An Arabic version will be made available shortly. Photo by Emre Gencer via Unsplash.